This Maui resort is a 2-minute walk from the famed Napili Bay beach where families can swim with turtles, body surf, or snorkel. 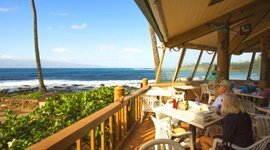 When you’re hungry, head down to The Gazebo Restaurant, which offers some of the best brunch on Maui, with a spectular view of surfers in action. Condo rentals at this beach resort have spacious lanais that face the ocean, and from November to May you can see whales breaching in the distance. There's a large, grassy lawn that's great for kids to play on that stretches between the condo. 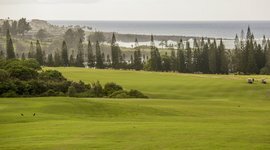 Golfers will enjoy being close to the world-class courses in nearby Kapalua. This low-key Maui resort on the beach is a great homebase for your family vacation. 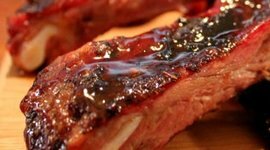 It's a casual, family BBQ joint with slow-cooked brisket and smoked ribs. They also have takeout for when you just want to eat back at your place. 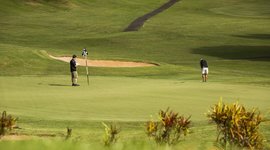 Golfing in a Lord of the Rings-like setting, this challenging PGA course is par 73 at 7,400 yards. Sister to The Plantation Course, Bay is another challenging gem with its signature hole no. 5 that plays over the ocean. For sun worshipers and snorkelers alike, this crescent bay will satisfy everyone in your family. In Maui's rugged north, you'll find sea turtles, white-spotted puffers, octopuses, unicorn fish, and maybe even a giant manta ray. 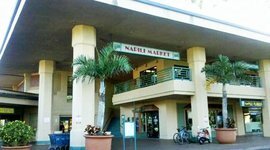 They have fresh produce, meats, seafood, wine, and beer, plus a great prepared foods section with sushi, sandwiches, and baked goods. Enjoy macadamia nut pancakes, eggs benedict, and other brunch favorites with a view of surfers in the distance. It's Maui's most famous brunch spot for good reason. 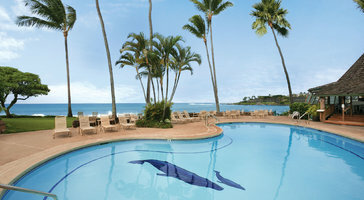 Right above the intimate beach at Napili Bay, you can boogie board, snorkel, swim, or relax on the sand. It's also home to Gazebo restaurant, serving some of the best brunch on the island.